Please Support our Used Clothing collection on Thursday 8th March 2018 and help raise much needed funds for our school. Please drop off bags before 9.30AM on the morning of the collection. Any clothes, paired shoes, belts, handbags, curtains, towels, bed linen,soft toys are accepted. Please dont leave any hardware or books as these will not be taken by the recycling company. Thanks in advance for your support. A talk for parents of Communion Class children will be given by Aileen Murphy, on Tuesday night next 2oth February, beginning at 7.30pm. The following link is to an information brochure for parents on the “Friends for Life Programme” and outlines what happens in each session. The programme is currently being delivered to 3rd to 6th class pupils. A meeting of Parents/Guardians of the 2017 First Confession & Communion class, for “Do This In Memory Of Me” talk, will take place on Tuesday 15th November. Venue will be the Community Centre, starting at 8.30pm. Please note the following dates relating to Confirmation. Tuesday January 17th at 7.30pm Mass – Ceremony of Commitment. Tuesday March 28th after 7.30 Mass. – Confession for Confirmation. Talk for Parents on preparation for Confirmation. Some spare jumpers are available to borrow from the school for Confirmation day should anybody require one, particularly children from 6th class. en outfits or any character they wish. 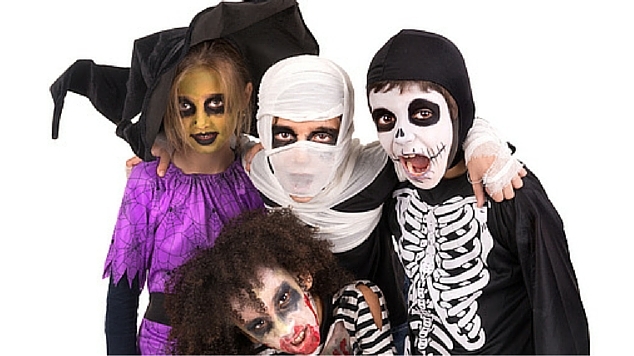 Junior Infants to 2nd class may come to school dressed in their outfits. 3rd to 6th class must bring their outfits in a bag. Please do not allow children to bring any objects, which may be a danger to themselves or others, such as daggers, spears etc. Also, as a result of the media coverage surrounding the current global phenomenon, please do not allow children to dress up as creepy clowns. 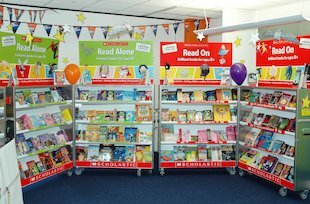 There will be a Scholastic Book Fair in the school from Wednesday 16th to Wednesday 23rd November. A large selection of quality children’s books will be on display at the fair. A percentage of the total sales will be granted to the school in the form of Scholastic Rewards, which can be exchanged for books for the school library. Depending on sales the rewards can be as much as 60%. With Christmas just four weeks from the end of the Book Fair it would be a good opportunity to complete some of that Christmas shopping list with what can be the best of all presents for children. The fair will be open to parents/guardians from 1.30pm to 3.30pm on Thursday 17th, Friday 18th, Monday 21st and Tuesday 22nd. Looking forward to your support. First Holy Communion will be on Saturday May 13th 2017. Confirmation for 5th & 6th class pupils will take place on Wednesday 26th April 2017 in St. Mary’s Church Ballyheigue at 11.00am. This years Parent/Teacher meetings will take place on Wednesday 26th and Thursday 27th of October. Details of timetable etc. will follow later. Christmas concert 2016 will happen on Friday 16th December. A pupil in the school suffers from Congenital Hyperinsulinism. Vomiting Bug has serious consequences for the child concerned and should not be in contact with anyone who is affected with it. If your child contracts Vomiting Bug please inform the school and keep the child at home for at least 2 full days (48 hours) after the last symptom of Vomiting or Diarrhoea has stopped. This is HSE protocol and will help prevent transmission of the virus to others. We appreciate your co-operation. Thank you. School will close on Thursday next June 30th at 12.00 noon. Reopening on Tuesday August 30th. Have a great summer break. Thursday 8th September – Pattern Day. Monday 31st October to Friday 4th November – Mid Term Break. Monday 14th November – Whole School Professional Development Day. Christmas Holidays: Last day in school will be Thursday 22nd December. School re-opening on Monday 9th January 2017. Monday 20th to Friday 24th February (Mid-term break). Friday March 17th – St. Patrick’s Day. Easter Holidays – Monday April 10th to Friday April 21st. Monday May 1st – Public holiday. Monday June 5th – Public holiday. Summer Holidays: Last day in school will be Thursday 29th June 2017. We will be celebrating the launch of 3 Flags this year on Monday June 13th at 11.15am. This is a huge occasion for our school. Our Green Schools Committee worked tirelessly over the last two years on the theme, Sustainable Travel and were rewarded for their work and effort in the Radisson Blu Hotel, Cork on Tuesday May 17th, when the school was presented with our 4th Green Flag. Well done to Ms Roche and the Green School Committee. Our Active School Committee, under the guidance of Ms Corridon, received their Flag earlier this year. This was the culmination of nearly 3 years work. Scoil Naomh Erc is very proud of these achievements. We received our Health Promoting School’s Flag also, which involves ongoing correspondence with the HSE about health issues and drives in the school. Ms Corridon and Ms Supple are our coordinators in this area. As a school community we are very proud of the great work our committees have done. We hope you will be able to join us on the 13th of June to celebrate these achievements. Senior school tour will take place for pupils from 3rd to 6th class on Thursday June 2nd. they will visit Bunratty Castle & Thomond Park. The report on our school WSE. MLL, carried out by Department Inspectors in January, is now available online at www.education.ie and also on our school website www.glenderryns.com. To download Report please click here WSE Report 2016. The Board Of Management of Scoil Naomh Erc welcomes this very positive report, which affirms the very high standards in management, teaching, learning, pupil care and welfare, leadership, self evaluation and planning in our school. Our school recently received a grant from the Department of Education to repair one of our heating units. Work will commence shortly. Active Schools Week will take place in Glenderry NS from Monday 13th to Friday 17th June. It will be a very busy and active week for all involved. Many activities will be be organised for the week – list to follow. During this week we will be launching our Health Promoting School Flag, our Green School Flag and our Active School Flag. Healthy School’s Officer Michelle Foley will attend. We will have two extra days of Food Dudes on 9th & 10th June. First Communion will take place on Saturday 7th May at 11am. School will be closed this Friday 29th April, Monday 2nd & Tuesday 3rd May. Please note: This years Graduation Ceremony for 6th class pupils will take place in the school hall on Wednesday 22nd June, beginning with Mass at 11.15am. Official opening of our new Astro Turf Pitch will take place on Monday 11th April 2016. Event will begin at 10.30am when John Brassil TD will be on hand to cut the ribbon. The event is open to all in the community, without whose support this project would not have been possible. Swimming class will start after the Easter break. Starting on Friday April 8th and running for 5 Fridays, with the exception of Friday April 29th, and ending on Friday May 13th. Poll and bus costs €25, and payment should be in prior to first trip. If any parent/guardian is available to help out at the pool, please indicate on the permission slip, to be returned with payment. Thank you. Golf lessons this week had to be changed from Tuesday to Friday so pupils are asked to wear their school tracksuits on Friday for same. Please return note you received today, if your child is available to take part in the school group for the St. Patricks Day Parade. We are delighted to inform you that Glenderry NS was the winner of the “Lee Strand €500 Cash For Schools Competition” for the month of February. We would like to thank you for sending in the milk carton coupons which are used to enter the competition. Please continue to send in coupons as the competition continues through March, April & May. We can also use the coupons in exchange for homework diaries later in the year. Thanks again for your support. Please be reminded that for insurance purposes, the start time for receipt of pupils in the morning is 9.00am and not before that time.